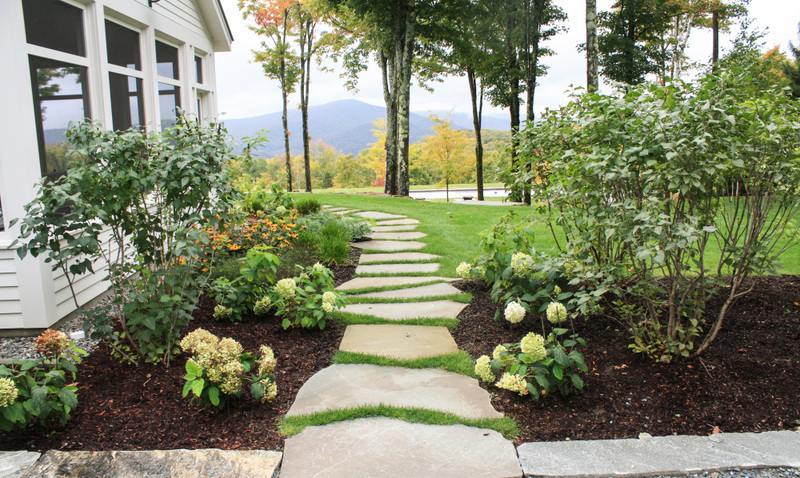 Stone Crafters is a Vermont based company that was created by stone mason Luke Blake in 2012. Luke has over 12 years of stone masonry experience with an exceptional eye for detail and craftsmanship. Stone Crafters specializes in hand chiseled-dry laid walls, terraces, steps, foundations, and fireplaces. Stones are hand chiseled to fit together tightly and structurally. Luke puts a strong emphasis on hand working the stones in a way that keeps the organic nature of the stone intact and preserved. Stone Crafters also incorporates composition into many of its projects. “We compose our stone work in a way that captures the architectural vision of our clients. We achieve this through composition, which involves knowing how the shape and fit of the stone you are working is going to affect the next stone. There is a visual relationship between each stone that determines how the wall will look when it is complete.